Pompoms make everything softer and cuter at once! Making them is easy and very cheap, and the craft itself is so simple that even your kids can do that – these are the reasons to use pompoms extensively in your décor. 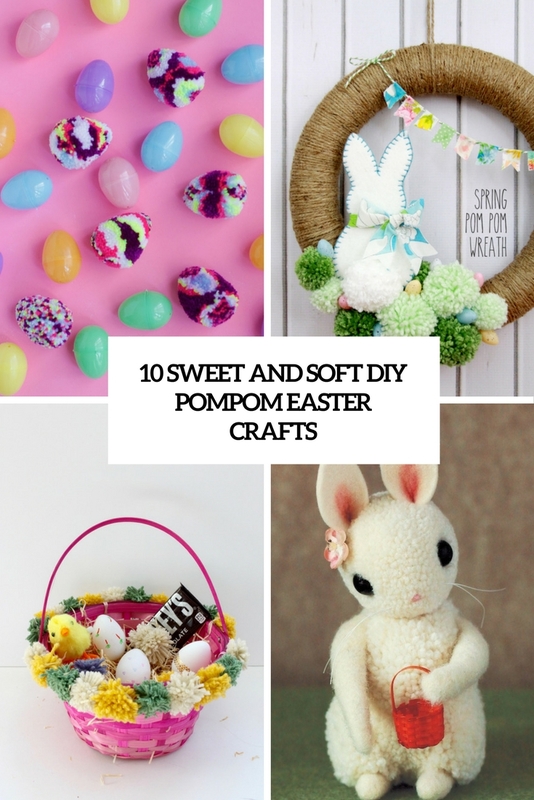 Today I’d like to offer you some crafts for the coming Easter, and all of them include pompoms of various sizes – you’ll be surprised how many ways there are to use them! Easter baskets are always essential to any great Easter. 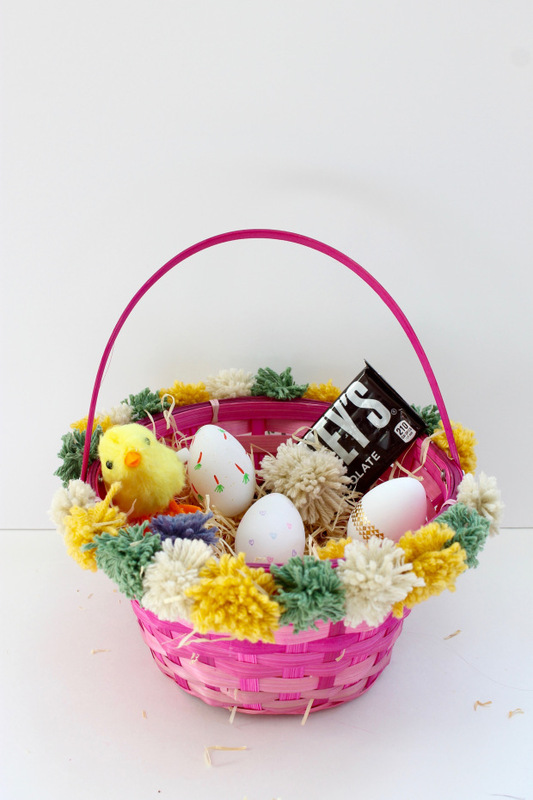 You wake up and creep downstairs and there is this wonderful pastel-colored basket full of chocolate and goodies. You needn’t always make super bold Easter eggs, you can just make the baskets colorful and fun decorating them with bold pompoms! 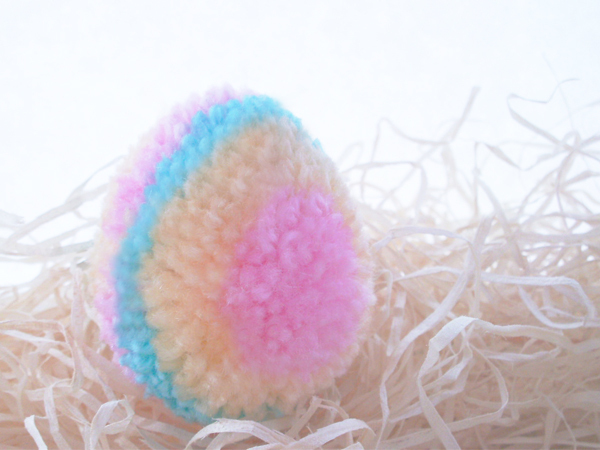 Make colorful pompom Easter eggs for your kids to play and to decorate the table with them. There are many ways to make pompoms, and here the author is using an embroidery hoop because it’s simple, fast, and the flat edges are great to keep the yarn from sliding around too much. However, the multicolored effect will work with whatever method you choose! 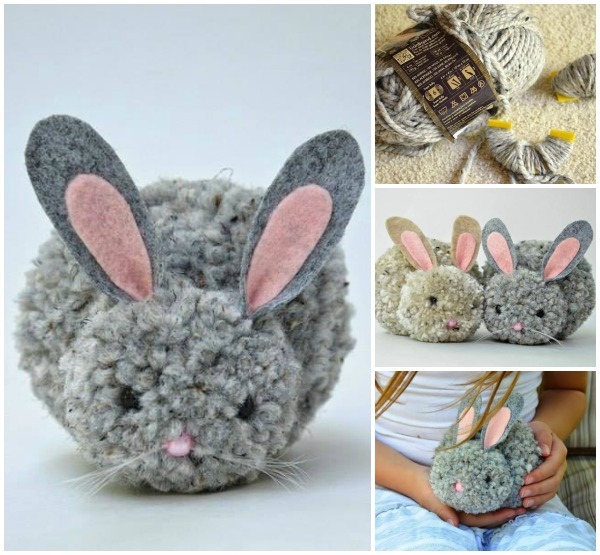 Since spring is here and Easter is on the horizon, this exclusive pompom bunny project is right what you need to realize! 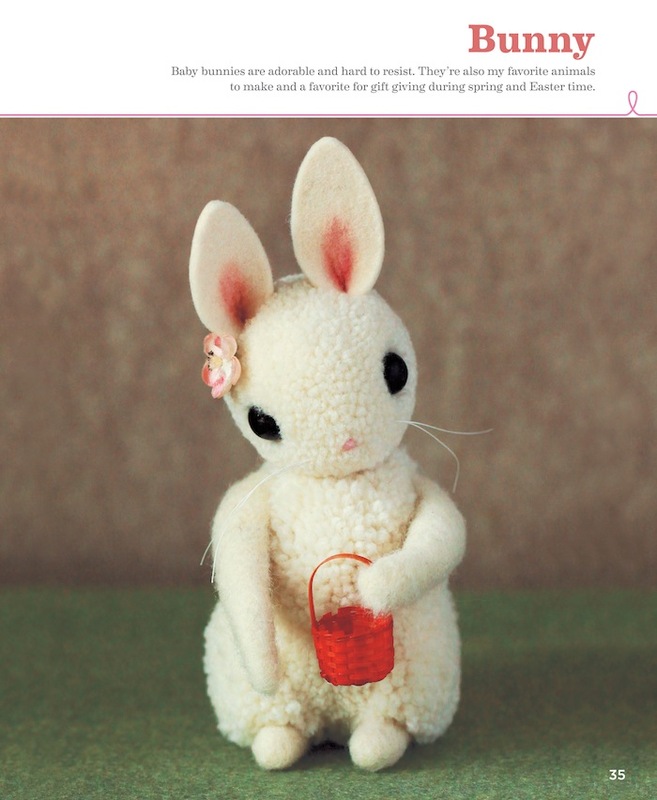 Grab your supplies and let’s get started on making these cute pompom bunnies you can hide away in Easter baskets or decorate your mantel with. Dying eggs isn’t for you? too much mess and you don’t have time for that? This is a really fun project to try with kids or on your own, if you have some pompoms laying around. 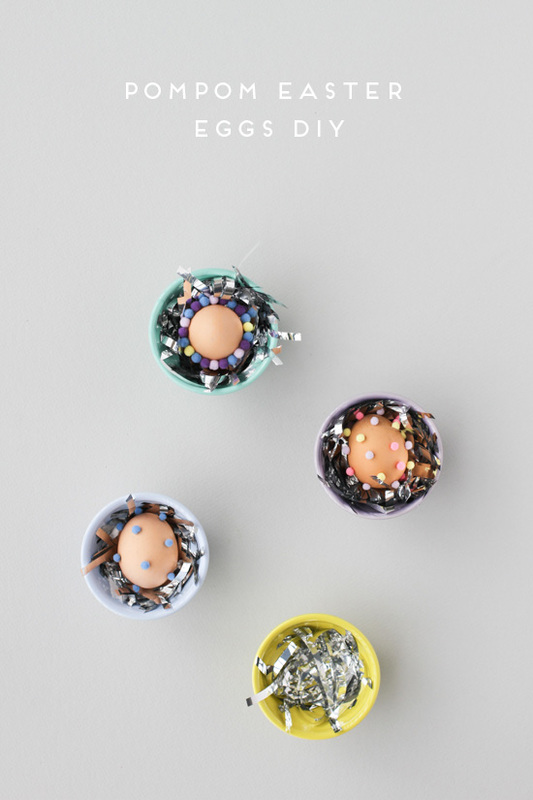 All you need are blown or hard-boiled eggs, pompoms and craft glue. 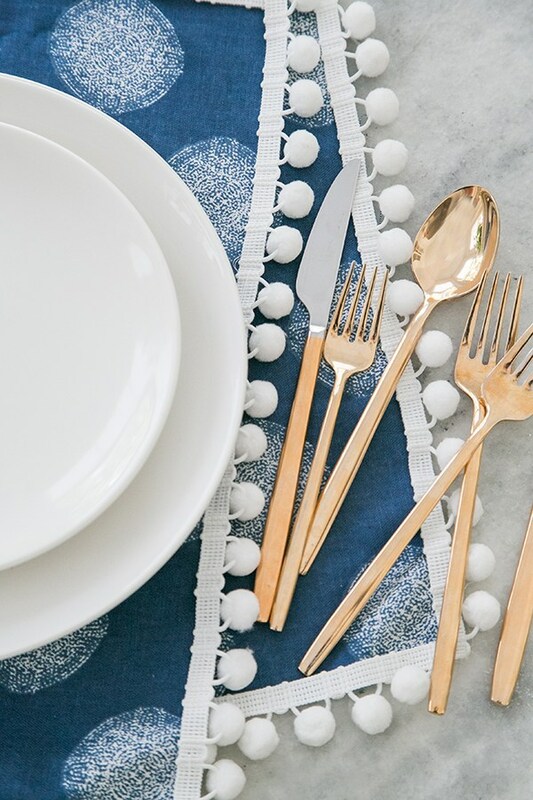 These adorable DIY pompom placemats add a fun and charming touch when setting the Easter table and they’re incredibly easy to make! You can add a lining if you want, which will make your pompom placemats a little more sturdy. Enjoy and stay charming! Children love the story about a bunny who carries eggs to the homes of children the night before Easter. If you too, you can make a pompom bunny in pocket size for babies or little kids, or for decorations for the coming Easter. Have fun! 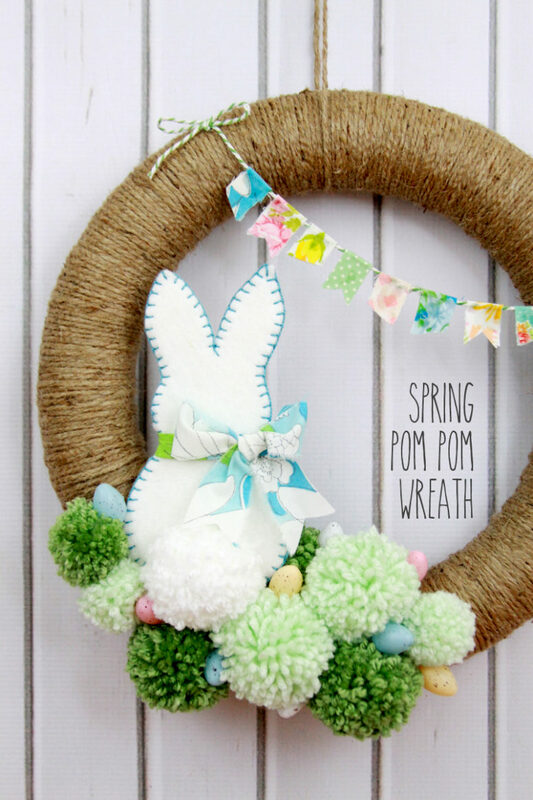 This darling spring pompom wreath is super easy to make with it’s sweet felt Easter bunny, pompoms, mini eggs and a tiny little fabric bunting to finish it all off. This project is perfect for using up odds and ends of your fabric and yarn, so you won’t spend much on it. 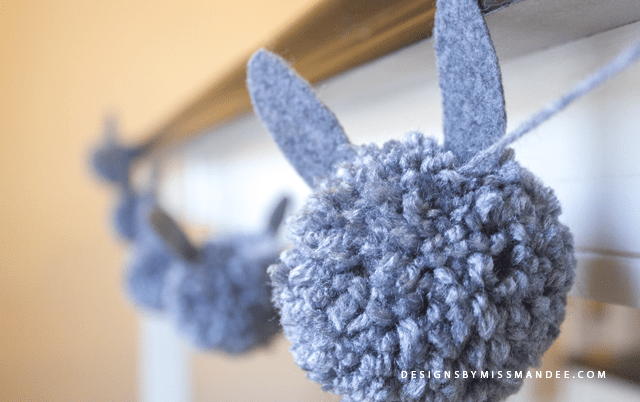 Learn how to make this adorable, DIY pompom bunny garland using supplies you’ve already got in your craft room. If you’ve never made pompoms before, don’t worry—it’s a cinch! 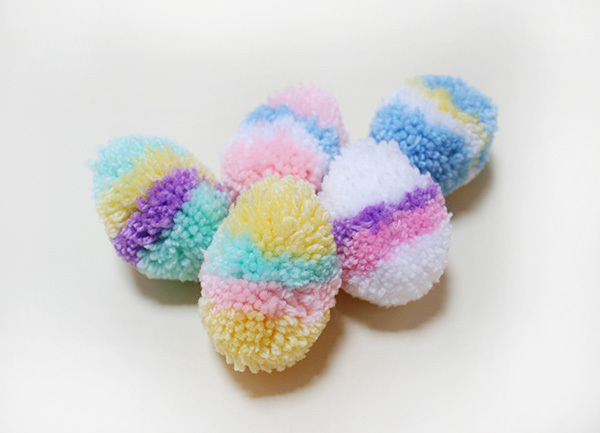 These “pompom makers” make the process is so fast, and help your pompoms look pro every time. 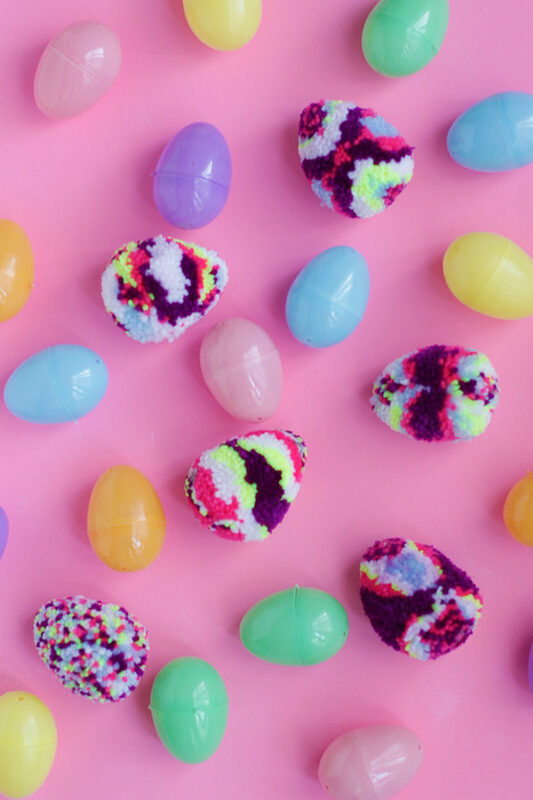 This tutorial will tell you how to make various colorful pompoms for Easter décor, they have different patterns – stripes, polka dots and so on, all of them are colorful and fun. You can use them as Easter eggs, bunnies, birds and to make garlands.